Changing the policies in Lincoln Public Schools that serve 40,000 of our children to improve the health and fitness of our children. 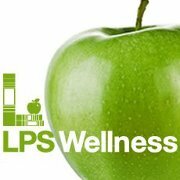 We helped to fund and establish a wellness coordinator position in Lincoln Public Schools, fund teacher education in both the schools and the after school program, and work to implement a Coordinated School Health Policy throughout the city. Tracking weight status and fitness in Lincoln school children. Successful community health efforts depend on accurate information for appropriate targeting of efforts and to assess the effectiveness of policy change and initiatives. We now have accurate weight and fitness data on Lincoln children including measures that show the disparities in health status based on socioeconomic and racial lines. We have also shown how fitness affects the performance of students on state math and reading scores. (2016 Community Update). Collaborating with our community partners through the CDC Partnership to Improve Community Health grant. Projects worked to achieve measurable improvements in nutrition, physical fitness, and reducing the prevalence of obesity-related chronic disease in Lincoln and Lancaster County. Working within the Lincoln Community Breastfeeding Initiative collaborating with hospitals and health professionals to provide breastfeeding education, support, consistent messaging and policies. 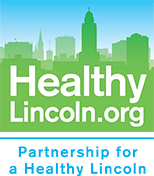 Providing community-wide education to promote health and fitness in Lincoln’s citizens. Examples include city and county-wide messaging through our collaboration partner, LNKTV Health, our community-wide annual health, wellness, and fitness movement festival, Streets Alive!, and our Fit by 2020 community health challenge. Coordinating a physician-led project, the Nebraska Physicians Cancer Screening Initiative, to save lives through early detection of breast and colon cancers through increased patient screening.